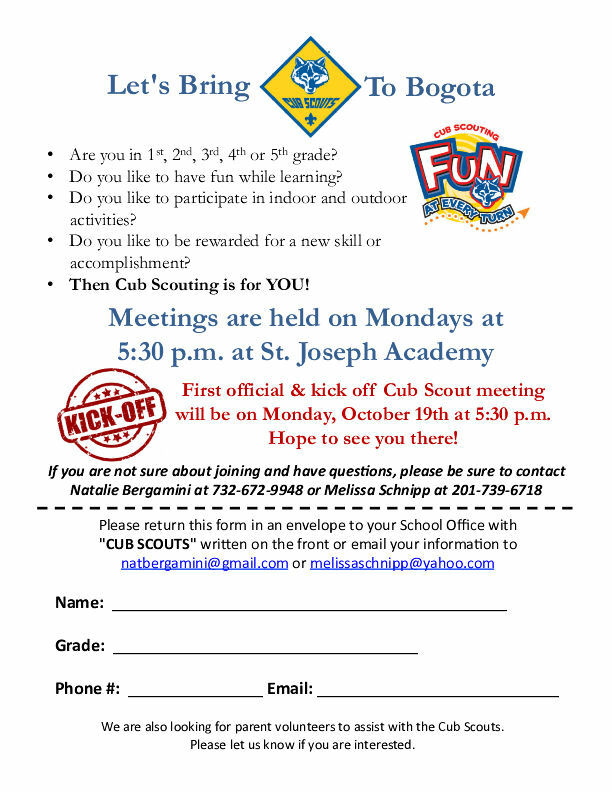 On Monday 19-October the reorganize Bogota Boy Scouts Troop # 66 will hold their first meeting. 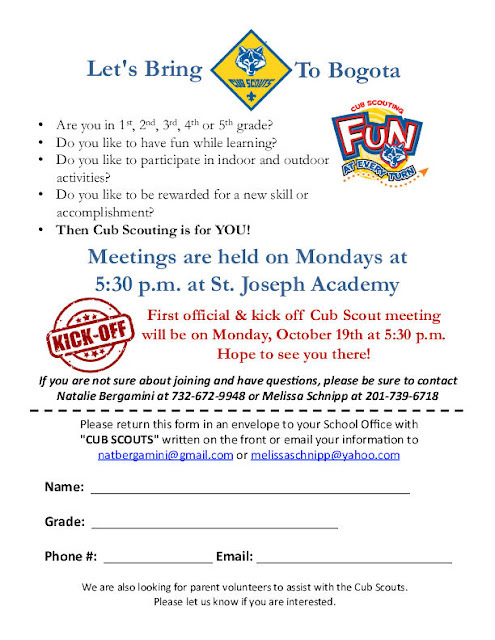 This will be the kick-off to the new Bogota Troop 66. The meeting will take place at St. Joseph School starting at 5:30p. Any male Bogota Student aged 7 years or older and are currently in Grades 1-5 are welcomed to join. The meetings will be held in St.Joseph's but the troop is opened to Students from all of the schools in Bogota.